Hosted VoIP Tampa by TelcoSolutions is your one stop destination for Business VoIP expertise in the Tampa, Florida metro area ! From Bradenton to New Port Richey and from Lakeland to Clearwater Hosted VoIP Tampa, a service of TelcoSolutions, has provided dozens of businesses the VoIP communication tools they require in today’s technology driven environment. With our vendor neutral approach your business can shop the entire VoIP marketplace and dozens of providers for the best Hosted VoIP package for your business no matter the size, scale or geographic location. In the robust Tampa, Florida business market state of the art communications technology from Hosted VoIP Florida, a service of TelcoSolutions, will provide your firm a distinct advantage in today’s highly competitive marketplace. Hosted VoIP Tampa brought to you by TelcoSolutions…The Southeast’s leading business VoIP telecom service provider for over 15 years ! With a long track record of success in Tampa, Florida, thousands of satisfied customers, and expertise you simply cannot find via a retail sales source, we can support your firm like few others can. A single unbiased point of contact for over 100 voice and internet carriers with options, rates & packages and pricing not always available to retail customers. 100+ years of combined expertise, objectivity, and unmatched experience with typically better pricing & more in-depth product knowledge than any retail sales source when it comes to VoIP networking. With senior level management expertise TelcoSolutions is a 15year old, owner operated firm with almost $5 million dollars in billing customers…in contrast to the local “revolving door …here today, gone tomorrow” retail sales rep approach. 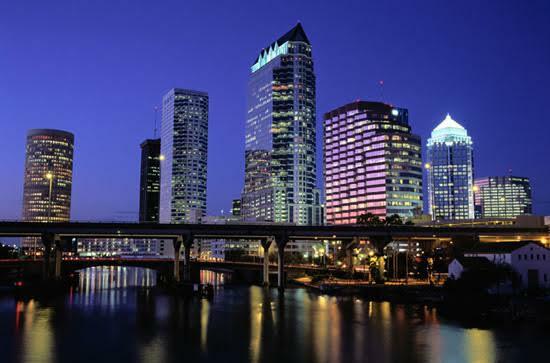 Have a business in Tampa, Florida area and considering a HOSTED VoIP solution ?? ?… With Hosted VoIP Tampa, by TelcoSolutions you can source over two dozen different VoIP providers with hundreds of different combinations of equipment & service configurations. We GUARANTEE the lowest available market rates for any service in any market in writing. ​Hosted VoIP Tampa is a service of TelcoSolutions and is one of the oldest independent telecom dealer consultancies on the east coast, based in Atlanta, GA. We represent over 100+ business voice and internet carriers nationally including over a dozen of the leading Hosted VoIP carriers.